When it comes to running in Melbourne, there is no shortage of waterside routes. You have ocean, river, and in this case, an enormous lake. 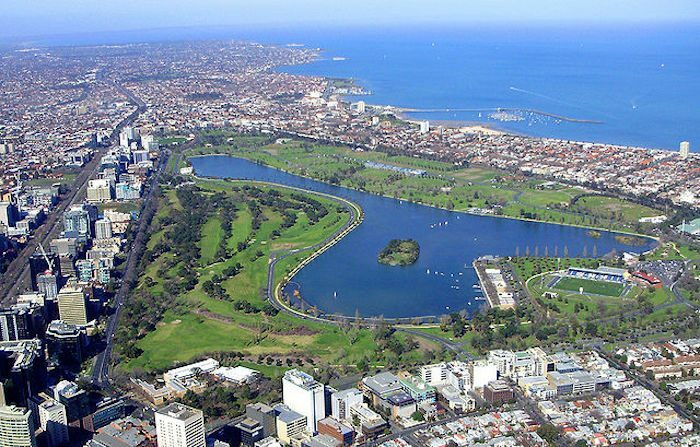 Fortunately for runners, the architects of Albert Park had the foresight to build a nearly 7.5 km track along the water’s edge. You can start out anywhere you like along this hard packed gravel strip, but the southeast corner of the park is easily accessible by public transit. Start here, and if you still have energy when you complete the loop, you have easy access to extend your run to Catani Gardens and St. Kilda Pier for a rewarding view of Port Phillip Bay. Albert Park is also home to Parkrun, a free group 5k held every Saturday morning. You can see the course map and learn more here. Start in the southeastern corner of the park, near Fitzroy Street. The St. Kilda transit stop is a good start and end point, although you can begin the loop anywhere.